Produktinformationen "German Teddy Bear Encyclopedia"
The Teddy Bear celebrates his centenary in the year 2002. On his triumphal way around the world he conquered the hearts of innunmerable children and adults. His cradle stands in germany and most of the Teddy Bears were manufactured here until the 1970´s. In the course of the years were more than 270 manufacturers in Germany - this encyclopedia documents them for the first time. It took the authors more than 10 years to trace the origins of the Teddy Bear by means of records, photographies and original catalogues. It is an inexhaustible source of information for collectors, museums, the industry and at least it is a charming picture-book for all the friends of Teddy Bears. 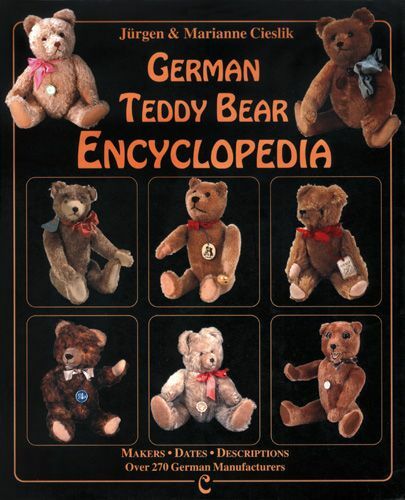 Weiterführende Links zu "German Teddy Bear Encyclopedia"
Kundenbewertungen für "German Teddy Bear Encyclopedia"